Arab civilization has left traces in Occitania much more numerous in the late Middle Ages (fourteenth and fifteenth centuries) through trade and crusades than it dit during the High Middle Ages (from the eighth to tenth centuries). Between land of Islam and land of Oc, there is no unbridgeable gap. At successive times its submission to the Carolingian Franks and afterwards to the French of Simon de Montfort, the deep South has naturally turned to Andalousia, whose civilization shines il all its brilliance. 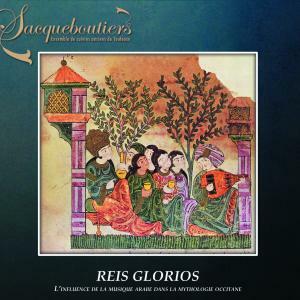 The musical program Glorios Reis, presented by The Sacqueboutiers with the assistance of master oud, Driss el Maloumi, highlights the close ties that have been forged between the art of the troubadours and Arab civilizations of the late Middle Ages. Traditional pieces of oriental origin alternate with music from great collections of Occitans of that time, as the manuscript of Apt or the famous Vermeil book of Montserrat and signed scores of the great troubadours of the rich period: Bertran de Born, Girau of Bornèlh, Bernard Ventadorn.